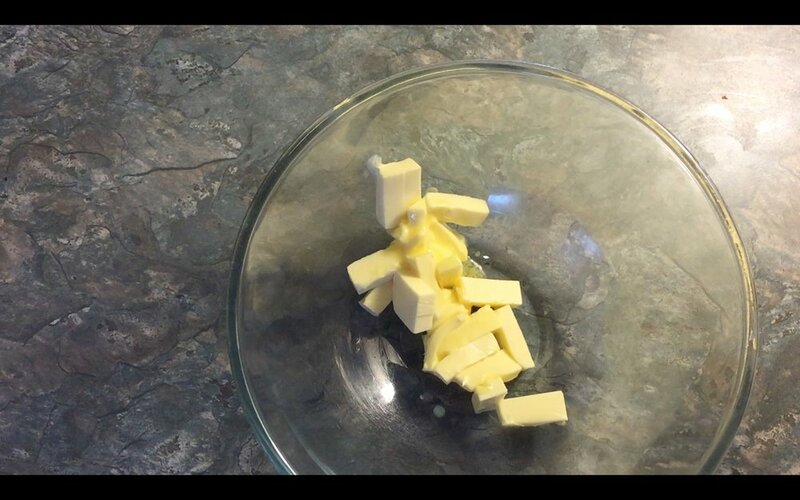 In a bowl, whisk together your butter and sugar. Add the eggs, one at a time, whisking between each addition. Add the flour and combine. Now add your flavouring, and food colouring. Mix until combined and the yellow you desire. Put into a square tin (8x8 Inches/20cmx 20cm) and smooth flat. Pop into the oven for 30-40 minutes until golden brown. Take out and leave to cool on a wire rack. 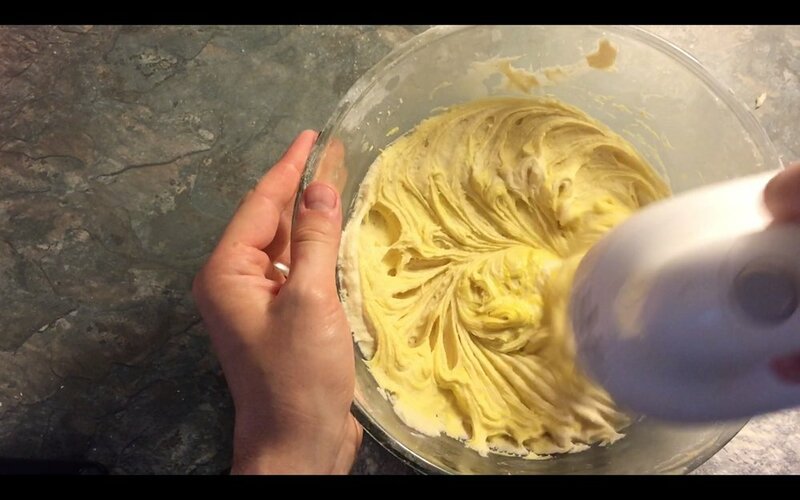 While it cools, whip up your buttercream, add the butter and icing sugar into a bowl and whisk together. 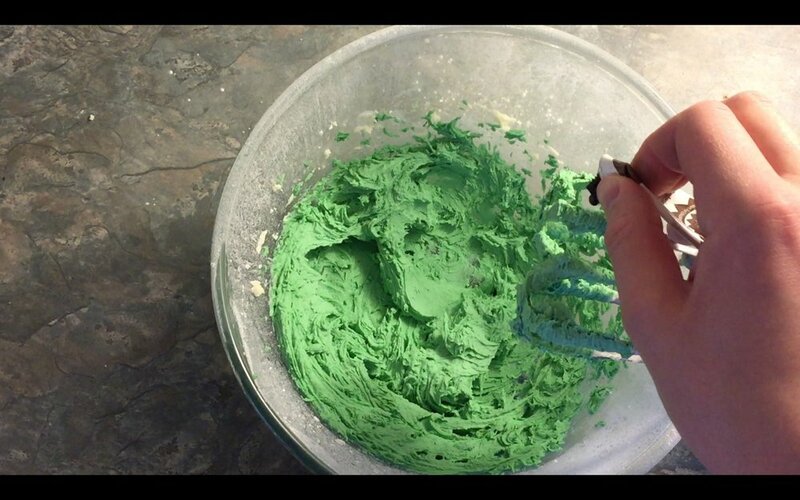 Add your green food colouring to the desired shade. Add in the flavouring you chose as well. 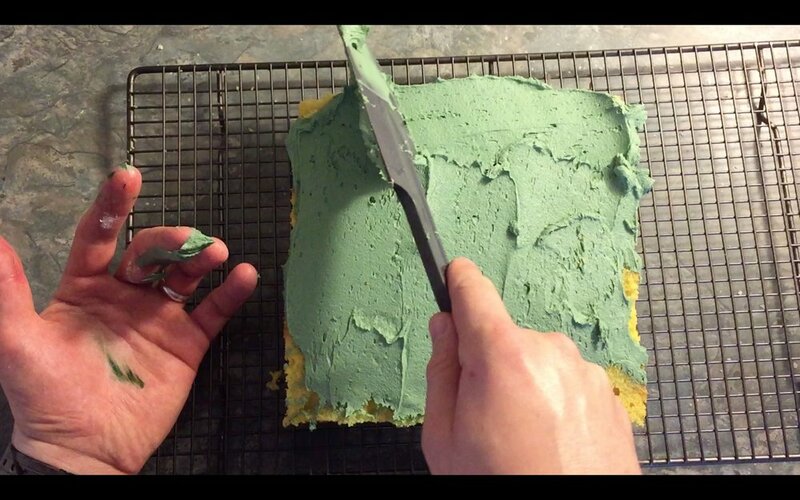 Now your cake is cooled, slice off the edges, and the top. Keep the top to one side, you need this to make the breadcrumbs for the texture on the "sponge cake." 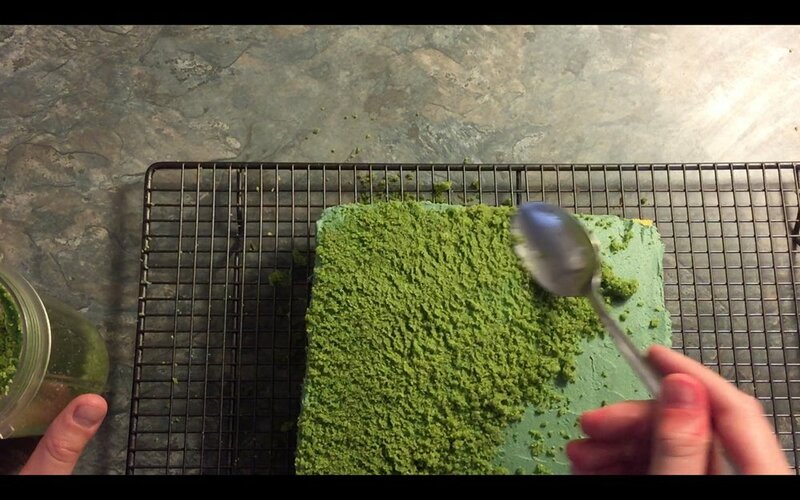 Blend the top of the cake with some green food colouring until they form green breadcrumbs. To assemble, spread the buttercream over the top of the cake, add your breadcrumbs, and then slice into thirds from top to bottom. 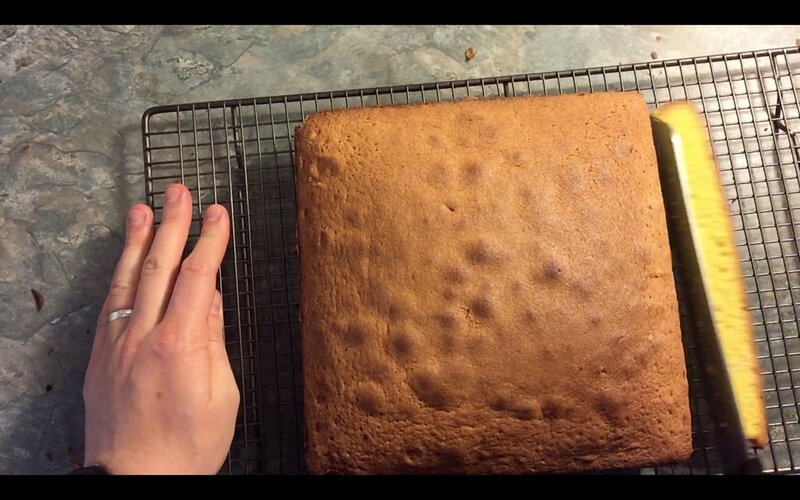 Now cut in half- leaving you with 6 rectangular "sponge cakes." Serve with a side eye and read the room to filth! MonetXChange my congenial queen, these are for you. As is this crown!